For those of you who do not know, my husband and I are volunteers for the San Bernardino Sheriff’s Search and Rescue. (See Picture below) This is the two of us at our Basic Training camp. I wear my orange shirt proud and can honestly say that I am honored to be apart of such an incredible team and family. In case you were wondering… Search and Rescue is 100% volunteer, NO ONE GETS PAID! Every penny donated to the Rim of the World SAR team is 100% used by the team to help pay for uniforms, equipment and tools needed to be successful searchers. These uniforms are not cheap, so every donation counts and we are forever grateful. Here are a few of us at the Mountain Top Days Parade in Running Springs. This tournament benefits 4 volunteer units: Citizens on Patrol, Deputy Reserves, Explorer Scouts and Search and Rescue. These 4 organizations are apart of the San Bernardino Sheriff’s Department. For info on the Golf Tournament please see the flyer below. 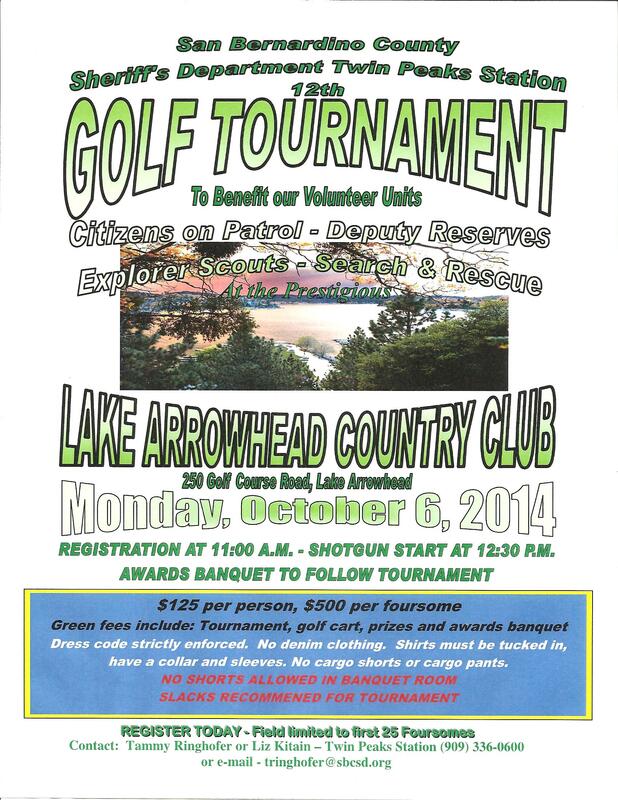 This event takes place at the Lake Arrowhead Country Club and includes an awards banquet dinner. On behalf of RIM SAR I want to thank each and everyone of you for your support and donations! If you are unable to attend the tournament or you don’t like to golf, you can still donate money and help benefit all 4 volunteer services. Please contact the Sheriff’s department in Twin Peaks for more info. Thank you again and Happy Golfing! 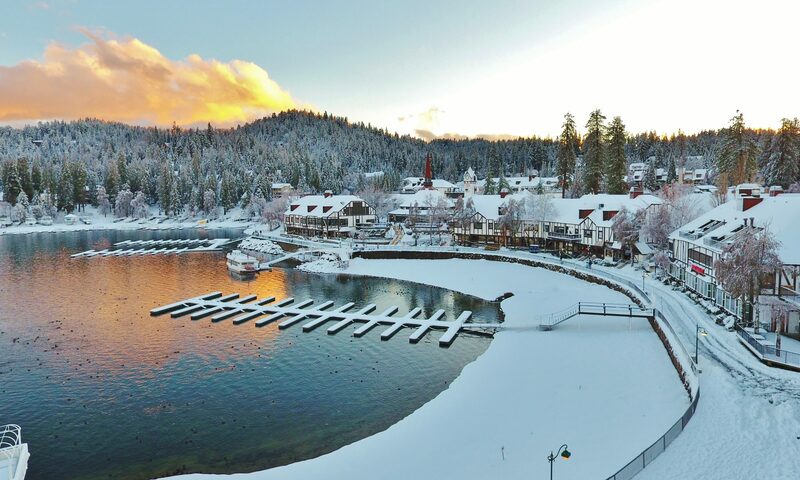 Next PostNext What Exactly is ALA… And Why do they Manage Lake Arrowhead?